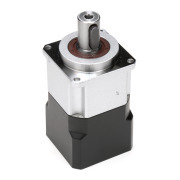 These Sesame inline planetary servo gearheads provide high performance and reliability for applications requiring less precision. Prime benefits are less cost, quick delivery, and easy mounting. 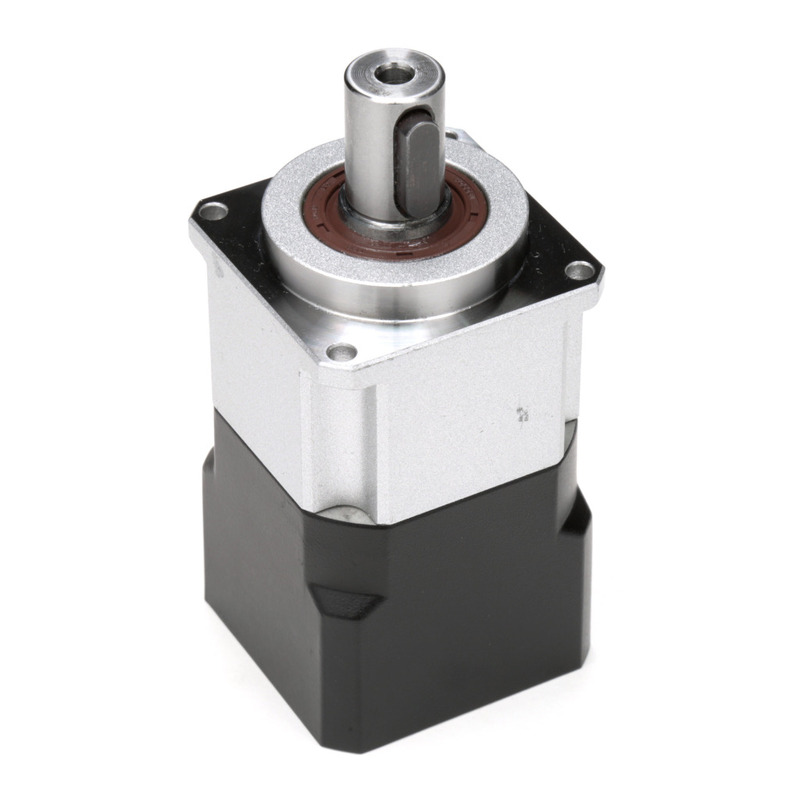 Dynabox precision servo worm right angle gearheads are available in 3 backlash levels to satisfy a variety of applications. Output options include single and dual shafts, hollow bore with keyway, hollow bore with shrink disc, and rotary output flanges. The Tandler ServoFoxx series PL2FS inline planetary servo gearhead provides the ultimate in motion control. Prime benefits are low backlash, high rigidity, and the widest range of ratios. A revolutionary motor connection system maximizes performance. The Tandler ServoFoxx series SKP2FS right angle servo gearhead is a two stage design with matched spiral bevel gears in the first stage and precision planetary gears in the second stage. This provides maximum torque in the smallest size. The WATT Drive series of helical gearing servo gearheads provides economical motion and speed control with a variety of inline and right angle helical, helical bevel, and helical worm designs. An economical right angle gearhead for use with small NEMA 23/34 and metric 40mm & 60mm servo and stepper motors. These reducers are most appropriate for basic motion and speed profile applications where cost is a major consideration. 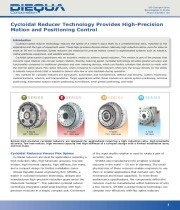 Cycloidal speed reducer technology reduces the speed of a motor’s input shaft by a predetermined ratio, matched to the application and the type of equipment used. These high-precision devices deliver relatively high reduction ratios, even for sizes as small as 50 mm in diameter. Speed reducers are essential for precise motion control in sophisticated systems such as robotics, military/defense equipment, and satellite antennas. Key markets for cycloidal reducers are agriculture, automation and mechatronics, defense and security, custom machinery, medical systems, robotics, and transportation. Target applications within these markets are optical system positioning, antenna positioning, automated weapon station positioning, surveillance, areal gimbal positioning, and radar. 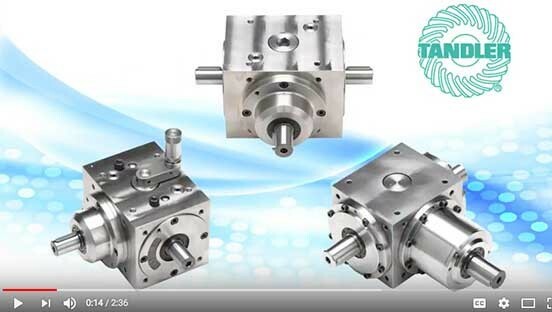 This new video provides an overview of the Tandler Spiral Bevel gearbox types available from DieQua and highlights application examples where they are best used.